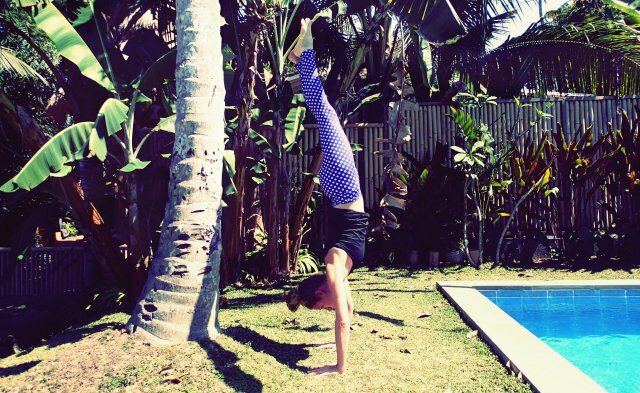 Anna Coventry is an NZ-born writer, globe trotter, 500 RYT yoga teacher and an imperfectionist. 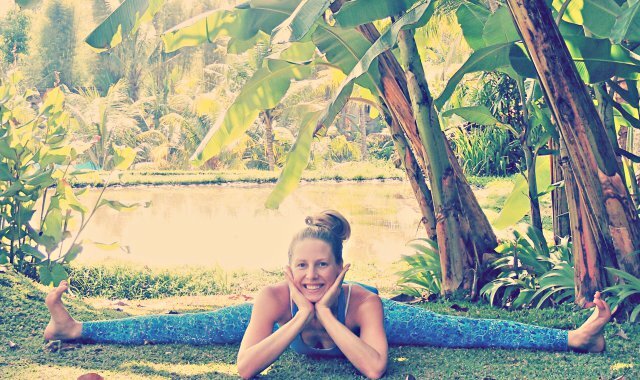 Her passion for yoga is infectious and her playful personality is evident in her classes and her writing. Like a good kiwi gal, she loves Flight of the Conchords and a glass of quality NZ Pinot Noir. Okay maybe 2 glasses. Occupation: Shyogi - a person who shares yoga with others. Location: It changes, but right now I’m living in Perth, Australia. Favorite yoga style: Vinyasa with a nice long Yoga Nidra to finish. 1) a sweet blissful experience of present moment awareness and profound connection. 2) a collection of practices that lead you to that experience. I love that yoga has such a positive effect on millions of lives every day all over the world. This incredible practice is designed to take us to that beautiful place within us where there’s truck loads of peace, love and joy. I believe that once we’ve found that place, we naturally want to share it with others, and that, my yogi friends, is how we can make the world a better place. 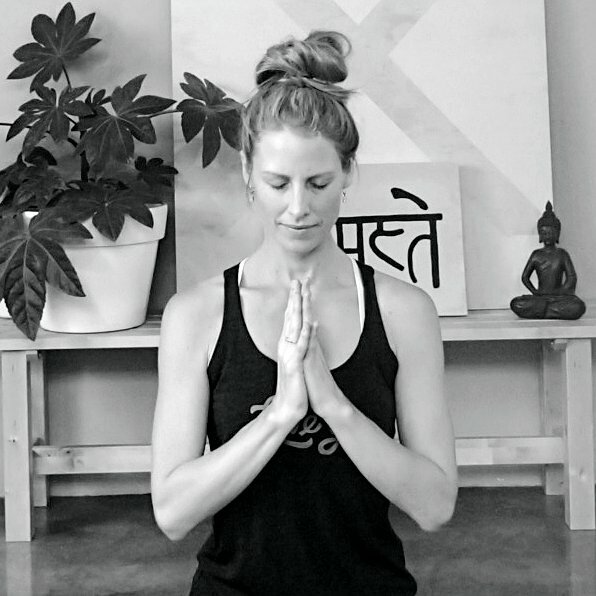 Yoga gave me direction at a time I was incredibly lost. It gave my life a sense of purpose, meaning and joy. It led me to a place within me that was so obviously what I’d been searching for and it continues to take me there every time I practice. PERSONALITY: Pre-yoga, I was trying to please too many people. I’d lost the ability to be happy, because I was searching for it in all the wrong places—all outside of myself. Once I tried yoga, and started exploring on the inside, I realised that the happiness and peace I’d been searching for had been there the whole time. That realisation led me to my authenticity. I stopped trying to please people and I just started being me. I’m a down to earth, imperfect kiwi gal who loves the fun side of life and laughs as often as possible. I’m also really spiritual and like to balance the playful globe-trotting stuff by hanging out in my inner world. PHYSIQUE: After years of eating disorders and a distorted relationship with eating/food, I found a healthy place and a weight that makes me feel good. I have yoga to thank for that. I like to take my practice outside, ideally to a place of natural beauty. There’s something deeply invigorating about yoga in the outdoors. It changes my perception of my body and breath and challenges my mind when it gets complacent. Book: Patanjalis Yoga Sutra changed my life. It’s hard to explain the impact that book had on me. Forgive me for sounding like a navel gazer, but after only a few pages, I just instantly understood the meaning of life, my place in the cosmos and why I was always so hellbent on helping others. Person: My mum introduced me to the powers of positive thinking from a young age. I remember being in the car as a child and we’d all say to the traffic lights “stay green, stay green, stay green.” Of course they always did. And if I wasn’t feeling well, she’d say “You’re fine. Think well, not sick.” Might sound a little harsh, but it always worked; I’d start feeling better right away! That’s the mindset I grew up with and it pulled me through some really tough times. As an adult, I always look at the glass as half-full and I have Mum to thank for that. That depends on where I am...When I’m away somewhere, I like to listen to the new sounds of life around me. When I’m at home, I’ll put on some instrumental music, something uplifting and inspiring that doesn't distract my mind away from my mat.